First post here at this lovely blog so I thought I'd share what was been helping me make it through this damn quarter (school). This is some seriously beautiful and disturbing tunes wrapped up in this record. 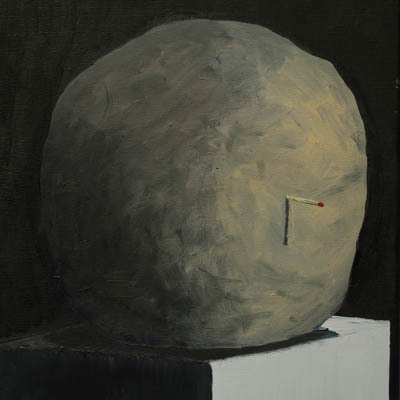 Background a bit The Caretaker is also known as James Kirby, has been releasing interesting projects for a while now. This is one of his latest ventures and it dives into a vibe that isn't really heard much these days. It's like listening to slow and untimely death (use your imagination) of your great aunt, but there is one catch, you have had way too much nitrous. The concept behind it was to create something where Alzheimer's patients would have something peaceful to listen too. Frightening but methodic, this album crumbles slowly until you reach an undesirable end. But don't let that get you down, there is still a blissful ending, much like the some Alzheimer's patients would like to have closure. 3 words why you should try it. Reverb, loops and pops .